Some evenings we enjoy listening to audio books. Gale knits, and I recondition old, wooden clarinets. Total: 4 pair mittens, 3 pair socks, 3 sweaters, and 7 vests. Click a thumbnail to see a bigger picture plus a description. 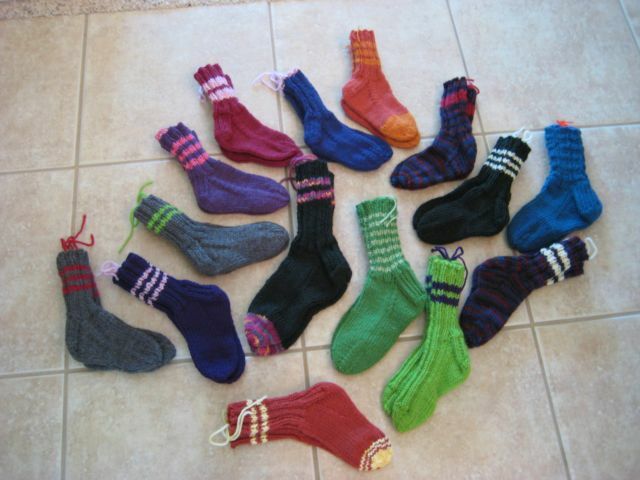 A lot of what Gale knits goes to orphanages. 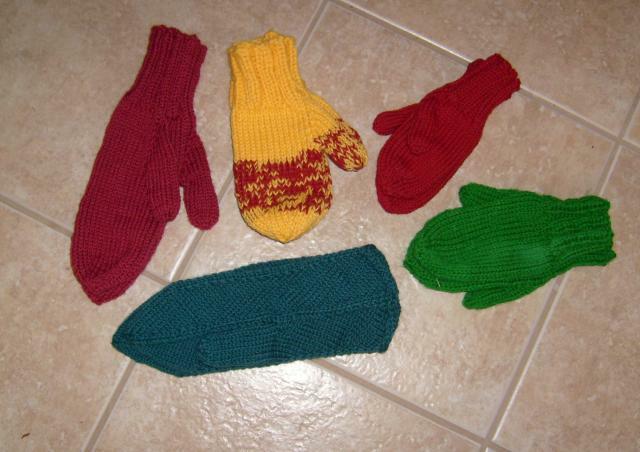 The kids who get these will really be blessed, both by the warm wool, and by Gale’s prayers! 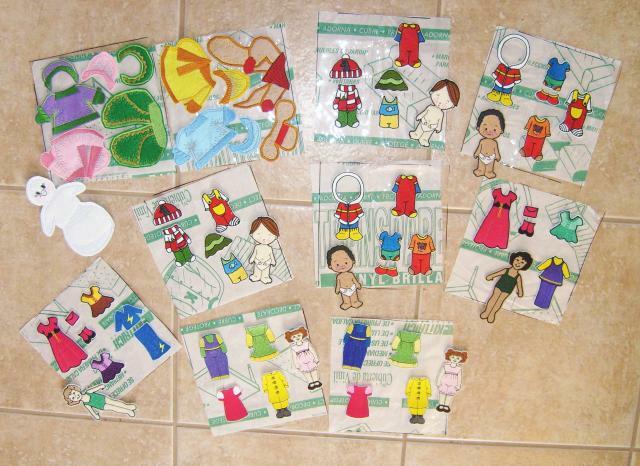 Gale also does machine embroidery paper dolls and finger puppets for the Smiles for Children Project. Their work is given out by mission groups and aid organizations to children who have lost everything in natural disasters and to orphans. Who of you have a clarinet in a closet? Phil is interested in purchasing old clarinets at garage sale prices, especially wooden ones. Phil’s hobby web page is http://clarinetpages.wetpaint.com. Thank you so much for commenting on my blog and I am so glad it ministered to you. (the invisibility post) I am so glad God led me to post it after my husband sent it to me. He said it made him think of me and the sacrifices I made for our family. That was as special as the email! I’m also glad you left a comment so that I could find your blog. You are missionary! I’d admire missionaries and the sacrifice and work that they do. I’ve added your blog to my “favorites” so that I can check back and pray for you. I also see that you knit for orphanages. It’s a long story but God used giving to an orphanage and supporting a missionary that ran an orphanage to prepare our hearts and the pathway to adopt our youngest! 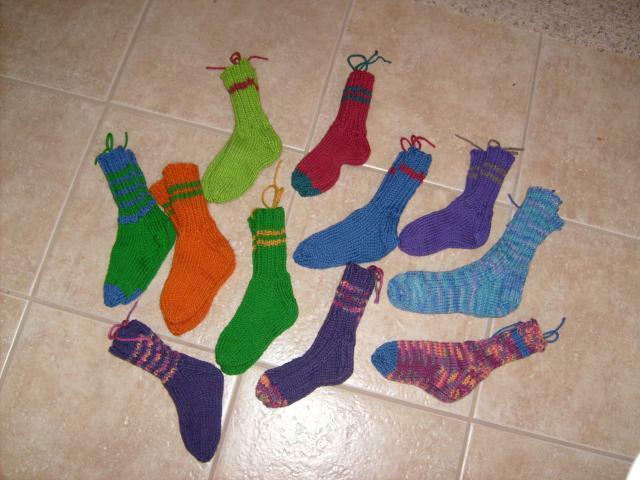 I also knit socks for CIC. I have 9 pairs done out of my goal of 12 pairs for the current challenge. I love the machine embroidered paper dolls and clothing you make for the children. Can I ask which machine and software you use to make them? 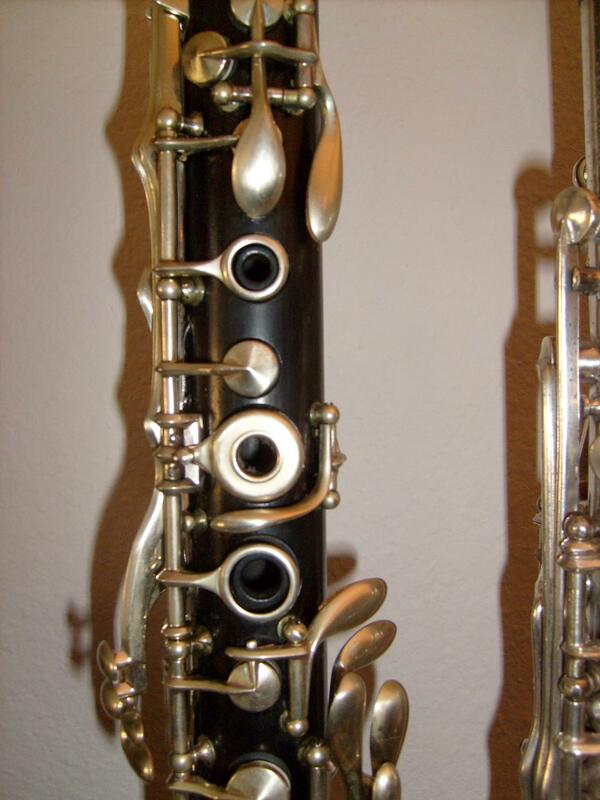 Phil, your clarinet restoration work is inspiring. I share that passion. It’s a gift to have a talent for this combination of art, craft and classic technology. And, you return that gift through your clarinetpages web site. Thanks so much!